Fingerprint recognition is such a hot topic that hoaxers are moving in on the action too: On Friday a news release claiming that Samsung Electronics planned to acquire a Swedish developer of fingerprint technology turned out to be a fake. The news release stated that Samsung was buying Fingerprint Cards for $650 million in cash, but the Swedish company swiftly denounced it as a fake—although not before some news outlets reported it as fact. “The previous press release was not sent by Fingerprint Cards AB. Trading in the share has been suspended. What has happened will be reported to the police and to the Swedish Financial Supervisory Authority,” the Swedish company said on its website. An email sent to the address listed in the fake release went unanswered. This isn’t the first time that technology companies have been the victim of hoaxes that allows the perpetrators to take advantage of swings in stock prices. Fingerprint Cards’ share price increased quickly before sales were halted. Shares in competitor Precise Biometrics also went up, according to Swedish news site IT24. Last year, a purported offer from Google to buy Wi-Fi operator ICOA for $400 million also turned out to be fake. “Someone I guess a stock promoter with a dubious interest is disseminating wrong, false and misleading info in the PR circles. ICOA will report this to the proper authorities,” ICOA’s CEO George Strouthopoulos said via email at the time. Many of these hoaxes are all too plausible. Google, for instance, had invested in city-wide Wi-Fi and fibre rollouts at the time of the fake ICOA release. The addition of fingerprint scanning to Apple’s iPhone 5s is pushing other phone makers to adopt similar features. The Fingerprint Cards case followed Apple’s much-publicized addition of the Touch ID fingerprint recognition feature to its latest product, the iPhone 5s, which instantly made the technology a hot property. Adding to the plausibility, Samsung’s rival HTC is widely expected to include a fingerprint scanner in its upcoming One Max smartphone, due to launch later this month. There was also real acquisition activity earlier this week when touch screen and trackpad specialist Synaptics bought Validity Sensors for approximately $92.5 million in stock and cash. 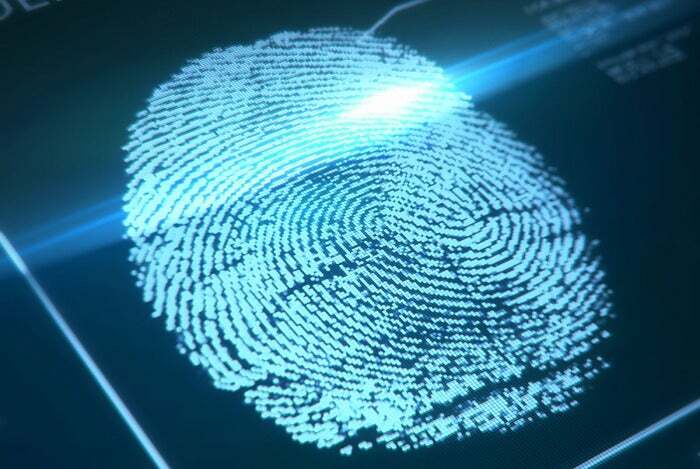 The biometrics and fingerprint sensing market is poised for explosive growth as OEMs look to differentiate their products, Synaptics said in a statement. Fingerprint Cards develops biometric sensors, processors, algorithms and modules that can be used separately or in combination with each other, according to the company’s website.